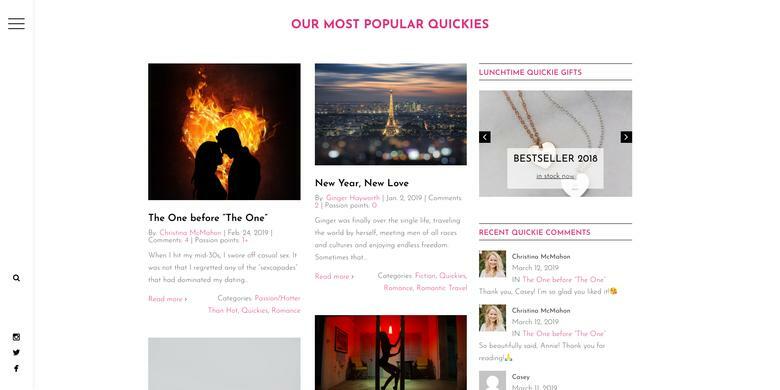 Enjoy reading any of our short romantic tales, or “Quickies,” contributed by members of our community as well as bestselling romance authors. Interested in contributing your own story? Write a short (1500 words or less) true romance story from a favorite moment in your life and share it with our community. Real love and romance are shared here every day. Have a fictional romance quickie to share instead? We love those too, just tag it Fiction. Photos and videos also accepted. Here’s to more Love in your life, one quickie at a time!